The Smilodox ladies jacket Nonstop is a true all-rounder. Due to its lockable pockets and the unbeatable design with mottled colour areas, it can be used in many different ways and is great to combine. The soft and comfortable fabric offers you a fantastic wearing comfort, whether you're jogging, in the gym or in your everyday life. Because of the narrow fit and the black sleeves, your waist and body shape, as well as your muscles are accentuated excellently. Our classic Smilodoxlogo is also present on your left chest. 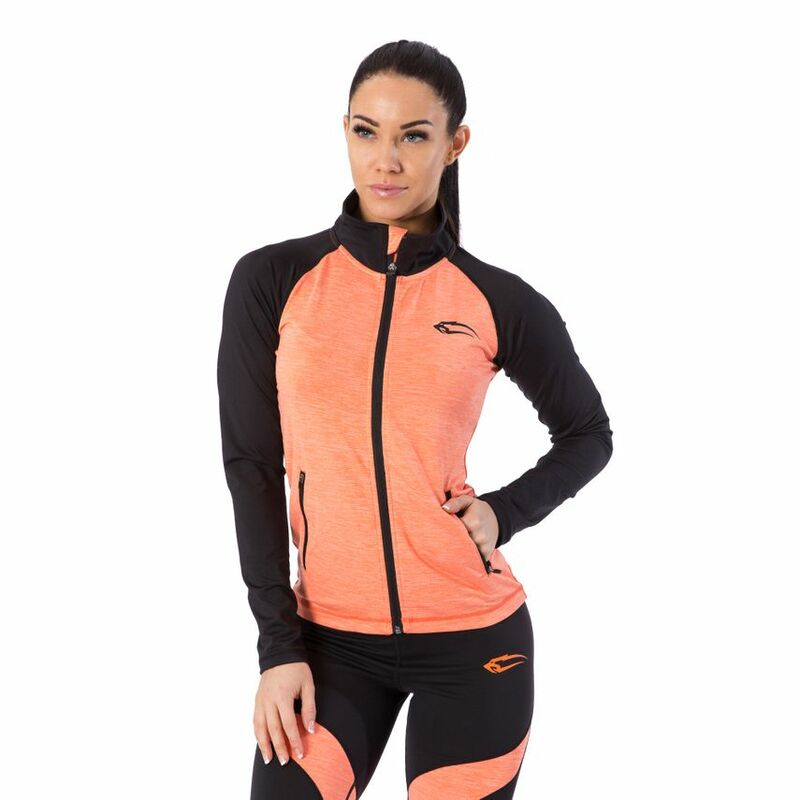 The Smilodox ladies jacket is Nonstop available in two very nice colour combinations and can be combined perfectly with the matching leggings.